Well back in cold, damp London and looking back on an unbelievable trip - so here's a quick recap before I head out into the frost in search of a pike or two. The conditions looked great until hurricane Matthew threw a spanner in the works. As well as the dirt and debris the water temperature dropped 8° in 5 days, effectively ending the mullet run. Finding baitfish and therefore predators was going to be tough, and finding feeding fish was a real ask - fortunately we had the man for the job. 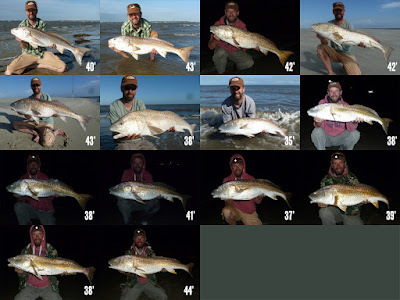 Our best bet turned out to be linked to the tides and fishing at night. 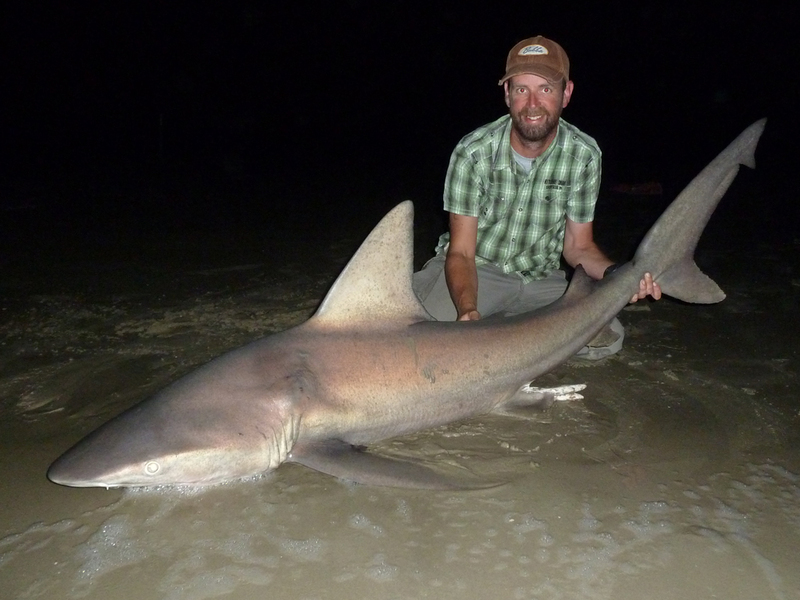 And our target was sandbar sharks, really love these sharks; harder fighting than the other species and it's main diet is other sharks - which makes it pretty cool! 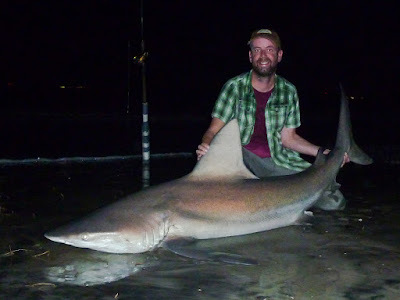 I landed 20 sharks, three of them over 6 foot and a new PB and my target - a 7 foot sandbar shark - a big female. The fight of my life; 55 minutes where often the shark was in control. A few times I thought I was going to have to pass the rod to Paulos or Roger, but I held on with acid pumping through my arms and fingers cramping I used up every last reserve of my strength - what a fish! 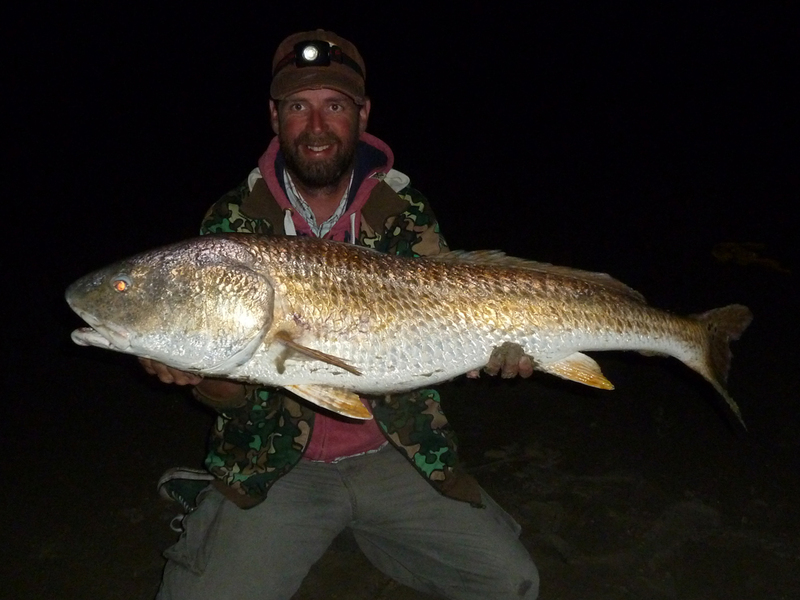 As well as the sharks we also targeted red drum, a hard fighting predator. I had caught three of these before on my previous trip - but I was happy to add more. 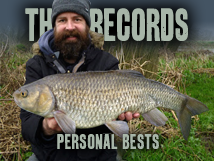 And 14 more was a brilliant result, I upped my PB to a big 43' female (probably the heaviest I caught) and the last fish of the trip I upped it again to a PB of 44' - a future target to better. 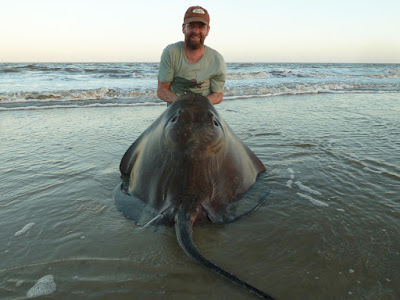 I joked to Paul that I wanted a 100lb class stingray, I even mentioned I wanted it to be a dark fish - then I hooked one on 25lb line. Forty five minutes of back breaking fight later - a magnificent fish was on the beach - great result, but you don't want too many of them! Other species included pompanos, bluefish and catfish. It was great to spend time on the beautiful deserted beaches, watching the wildlife (photos to follow). And a great holiday all round - massive thanks to everyone involved. And top ghillie skills Paulos - thanks again. Took a lot of attempts to get the photo below! Can't wait to return, don't want to wait six years this time. 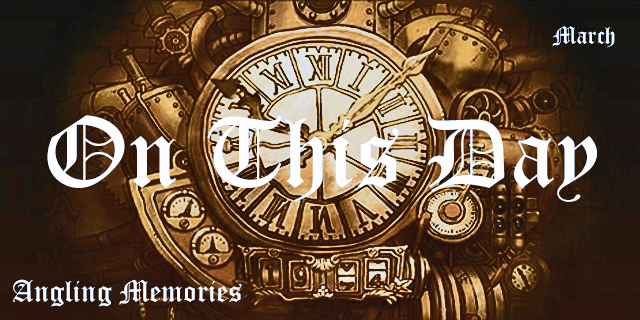 Perhaps September 2018? I'll start planning - and if I'm after an eight footer I might need to hit the gym a few times beforehand! A week in sailors??! Better than a week in Taylors though. 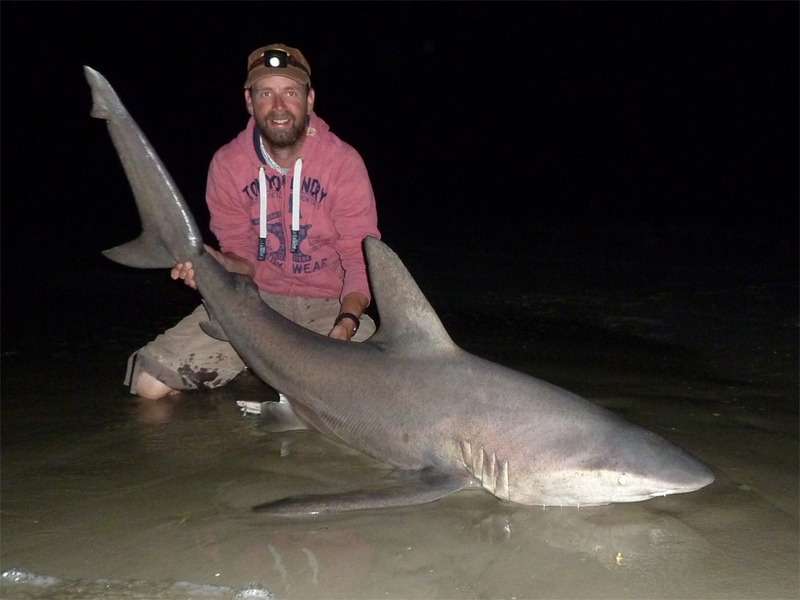 Big sharks, beaches and sunshine - perfect! PS: need _a shark-ghillie ? Was a fantastic trip, looking forward the next time already. 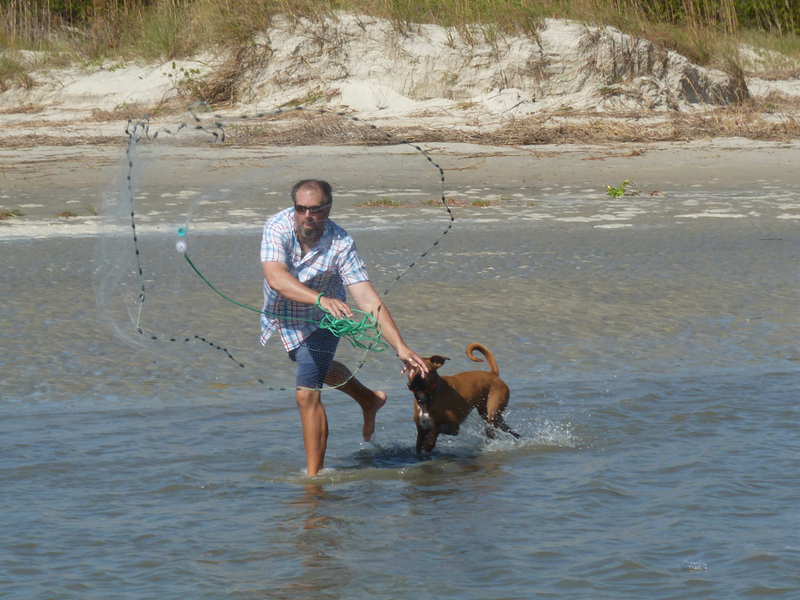 Good shot of me and my slightly obsessed dog catching bait there!! 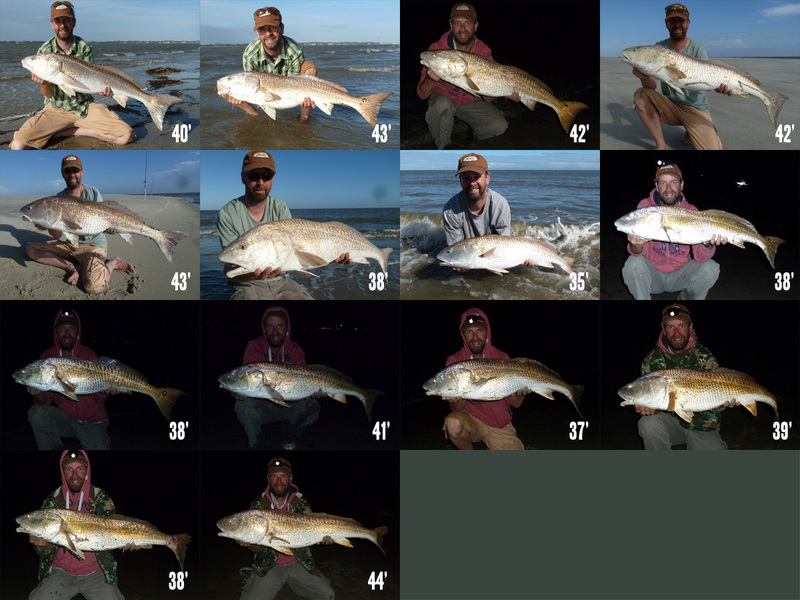 Well done on all the great fish in very challenging post hurricane conditions. That big female Sandy was an incredible battle in that huge tide. Shame the skeeters ran Captain Ahab off his game.